It's that time of year again. Gift giving, decorations, funny red hats, drinks, of course the turkey (we don't celebrate Thanksgiving here in the UK, so turkey is for Christmas) and spending time with the family. But before even getting to that point, it's the time for making lists and seeking out the best gifts for family and friends. It can often be difficult trying to pick out the best present for someone. Friends and family all have different tastes and preferences, so finding the perfect gift can be hard. 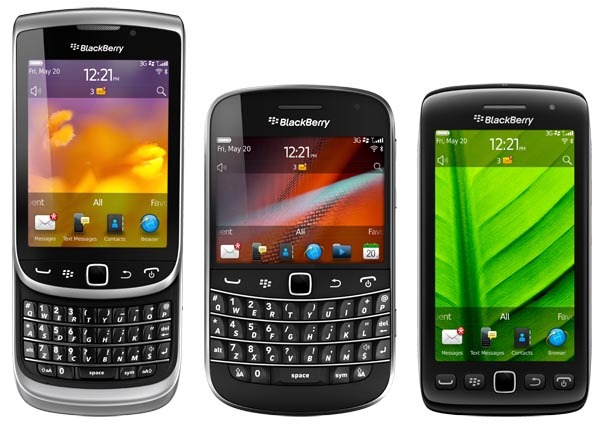 I love BlackBerry, I love accessories and apps for my BlackBerry, and I'm also a student, so what kind of gifts can one get a student BlackBerry owner (or BlackBerry owner to be)?. Do you have a student friend or family member? Here's a student wishlist for you to peruse. I'm sure you'll find something that would be useful for that loved one. Perhaps not all your family members or friends own a BlackBerry, so perhaps you could spread the BlackBerry love by getting them a shiny new BlackBerry smartphone for Christmas. With a handful of BlackBerry 7 devices now available, what better gift to give to see delight on their face when they open rip off the wrapping paper to find a brand new BlackBerry device. Or maybe, their current BlackBerry is getting ready to retire, you could gift them an upgrade that may get you a kiss under the mistletoe. The BlackBerry Bold 9900 is a good contender, being powerful, combining the touchscreen with rocking physical keyboard, great for the busy student who needs to catch up with friends on BBM or organize parties, as well as keep up with coursework/project deadlines. For a slightly cheaper option perhaps the Torch 9860 would be a better choice. Its large 3.7 inch touchscreen is great for watching videos and browsing the internet, enough to keep you busy while on the go. Is your student friends a light user? Maybe you could give them the Curve 9360, it's slimline with decent features that would be a great starter device for anyone new to BlackBerry. Beware when buying accessories. 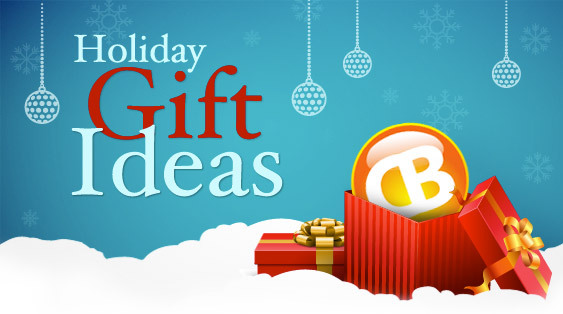 Be sure you know what model of BlackBerry your giftee has. Not all accessories work with certain models, so be sure to "casually" find out what model they have so as not to give away you're getting them an accessory for their phone. A student will probably have a catalogue of movies and music that they'd want to have access to on the go. 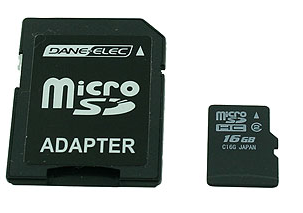 Some BlackBerry smartphones come with a memory card bundled in but it normally is too small in memory size, so a high capacity memory card would probably be the best option. BlackBerry smartphones take up to 32GB. So why not get them a 16GB or 32GB microSD card, giving enough room to store a decent amount of albums and videos, as well as for photos taken on their day-to-day adventures. We can all be a bit of a klutz at times, I know I've dropped my BlackBerry a few times. A student enjoying life as it comes is bound to knock their device around a few times, what with all the activities they get up to. The pouch included in the box isn't always to everyone's liking and sometimes a case or holster or a combo of the two is the preferred preference. Why not check out the BlackBerry leather holster? With it's swivel belt clip and sleeper magnet it could keep a BlackBerry safe while going out and about, at the same time preserving battery life. 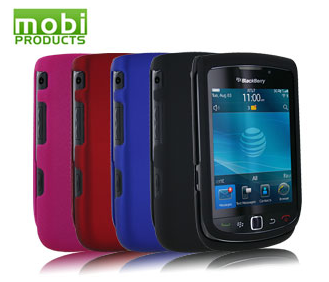 How about a Mobi Hard Shell case, it comes in a variety of colors to suit whatever mood. Maybe a soft shell case would be a better option, you can check out the BlackBerry Soft Shell case, that also comes in a variety of colors too. Lugging a laptop around all day is not always a pleasant experience. With a BlackBerry in hand they can get a lot done already. Documents 2 Go, email, internet, BBM all from the palm of their hand but sometimes the keyboard or even the touchscreen keyboard doesn't quite cut it when you're trying to type out a 1500 word essay. 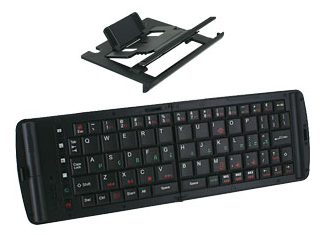 To help make things a little easier why not get them a bluetooth keyboard, they're lightweight and compact and compatible with most BlackBerry devices, they can help typing out on a BlackBerry device a lot smoother and allows them to be more productive, without breaking the back. The Freedom Pro Keyboard is one that's a great size, not too small to make it unusable but also not so big that it would take up space in your bag. Videos and music. A lot of students like to kill time listening to music or watching videos. It isn't always appropriate to blast music from your BlackBerry smartphone, especially when you're in a library or even at a student pad, so a bluetooth headset or a pair of headphones would do the trick. There are a wide range of headphones/earphones or bluetooth headsets to suit different tastes and preferences. 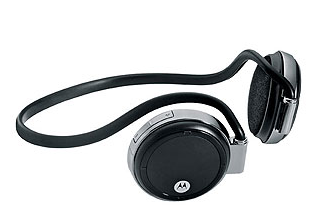 One of my favorite bluetooth headphones is the Motorola MOTOROKR S305. It has good sound quality, decent battery life and is lightweight in design. For those students that drive, help to keep them safe on the road. 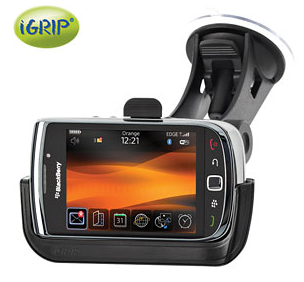 Why not get them a cradle mount to hold their BlackBerry in place whilst they reach their destination, like the iGrip Charging Dock made for the Torch 9800/9810. It helps to keep hands at the wheel while charging their BlackBerry at the same time. You can find the iGrip Universal Cradle Mount too, compatible with a variety of BlackBerry devices (but doesn't charge it). The Jabra DRIVE Bluetooth Speakerphone would be perfect for those who like to talk a lot. They could talk on the phone while keeping their hands free and eyes on the road. It also allows them to play music through the speaker phone from their BlackBerry device. 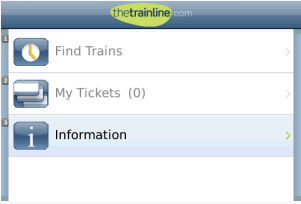 For those who commute by train to school, there's no better app to recommend than the Trainline app. It lets you check train times and ticket prices as well as allowing to purchase tickets straight from the app. You would have to pick up the tickets at the train station but at least this way you can avoid the long queues in the morning and afternoon rush hour. Please note that this app is for UK only, however you can probably find a train app for your city too. Keep your student activities organised with Student Buddy. Add your subjects to the planner, track assignments and make sure you meet deadlines. 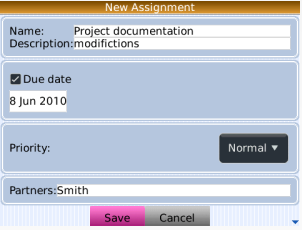 It also gives you the ability to add instructor contact details and use a colour scheme so you can differentiate the different subjects you have. All in all a good way to keep on top of your day-to-day student life. Something a little more for killing time or just to keep you updated with facts that you can use to impress your friends. Does exactly what the app is called. 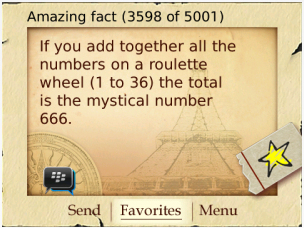 It contains 5001 facts, some very interesting, others sounding a little far fetched but all in all a great app to have to keep you and your friends amused. Students need to take time out and have a break sometimes. For those times it's nice to just chill out a play a game on your BlackBerry. 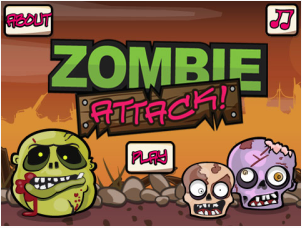 What better game than the one where you stand up and fight against brain eating zombies in Zombie Attack. With a load of different weapons by your side, defend your territory against these zombies and keep your brains' safe. The game is free and there are 100 levels to keep busy during break times. It's nice to lie in some days but there are other days when you have to make sure you get up on time and for that you need an alarm clock but why settle for just any alarm clock? 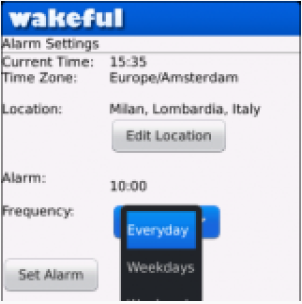 You need Wakeful Alarm. Apart from just waking you up on time for your lecture, you can get the latest news read out to you and also get your local weather update so you can decide on the best wardrobe for the day's events. Now that you have some ideas on what to get the high achieving student in your circle of family and friends be sure to shop around the CrackBerry Shop and get stocking fillers to put a smile on your loved ones' faces. 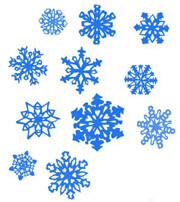 There are a whole range of accessories to get and you may even find something in there for yourself. As the days grow colder and the nights become longer, we gather together amongst our friends and loved ones. It is a time of great happiness. A time when we celebrate the love and companionship we've received over the year, and a time to reflect upon the good times yet to come. It is the time of the year when we exchange gifts; a way for us to express gratitude towards one another for the simple pleasure of being a part of our lives. Though our gifts may be large or small, expensive or a bargain, they are but a token. A token of the joys of years past, a token of adventures to come. No matter the gift, I am certain it will be enjoyed. For it is but a symbol of the love, appreciation, and kindness we feel toward each other. And no gift, no matter how grandiose, can hope to equal even a small fraction of that.